FEATURE FRIDAY: Why 2016 will be one of the most triumphant years in the history of Iron Maiden, and a few good reasons why “The Book of Souls World Tour” is their finest in decades! TOUR UPDATE: The official Scandinavian Maiden party is announced. Ullevi, are you ready? 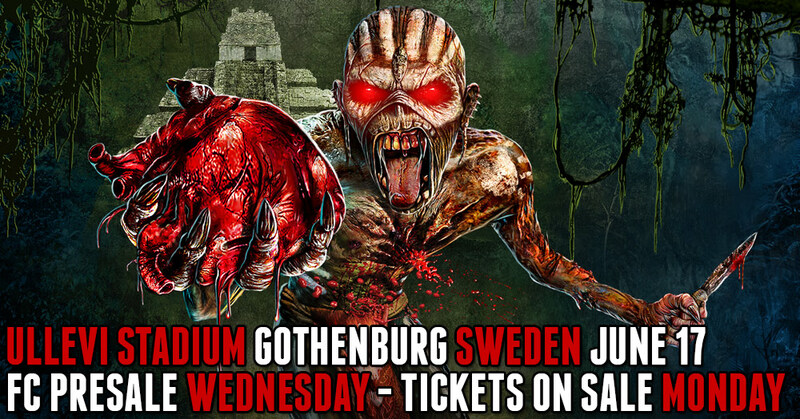 Iron Maiden returns to Gothenburg’s massive Ullevi Stadium on the 17th of June next summer.